So basically I have a large amethyst which has some Smokey quartz parts as well and it was chipped so I already had some basic lapidary equipment and i have worked with high grit abrasives on other things before etc. . So I set about repairing the natural crystal aiming for a near perfect mirror shine in a sense I started with diamond bits in my Dremel and it wasn't great but quiet good then on advice from a tutorial I started with diamond files 150 at first then 250 water wetted I then thought ok on to diamond paste on a felt wheel starting at 40 microns which is supposedly 320 grit and after starting this I quickly realised that this was way off... The gap seems immense like the paste was 4000 grit! I even wondered if the paste was missing it's grit but I guess it's correct. So I tried bridging the gap with silicone carbide sand paper and this seemed to not work even though it's 9 - 9.5 mohs hardness and the amethyst is 7 no? I started to think it is what the abrasive is attached to possibly so files are very hard paper a lot less and paste very low? So I keep bridging the gap and yes after an hour the 320 grit paste begins to effectivity remove the scuffs from the very light strokes of the 250 wet filing but it's not great. So this brings me here I'm looking at 600 grit files and hard to get our expensive 90 plus micron paste and I'm wondering what am I doing... It's time to chat to some experts . There may be a much better way to all this? I am not making a gem out of this I want to keep it looking natural and so I need to get into corners and the like as such so I guess some usual lapping devices are not going to help. Thanks and here's a photo (excuse the mess it's had a lot of testing done to it) . As I directed you here, I suppose I should give you my advice. A ground and polished crystal is not going to look natural anyway. The alternatives are flat lapping to produce one or more polished faces or carving it into some artful shape. Both of these require motorised equipment. 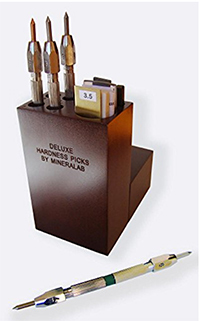 Perhaps you could find a gem cutter or a club with lapidary equipment somewhere near you. They would be better able to advise you and perhaps assist you hands-on in fashioning the stone into something attractive. Hello again and thanks. Unfortunately I went ahead and bought more stuff to play with diamond 600 grit files and Dremel burrs which look quiet good. I'll keep those options in mind but I guess I'm using this as a learning piece and I want to see exactly what I can do. The main problem is the gap as such which I am trying to choose between 40 micron diamond paste and the Dremel or files which I used to shape it. The parts I'm smoothing out are the frosted bits you can see in that photo on the higher / cost to the point faces. I did come across 90 micron paste but it was very expensive and I'm unsure of it there is also a powder I bought which was silicon carbide but I found that hard to impregnate a felt Dremel bit I guess as it was larger particles. I've not had good results from silicon carbide even though it's harder than quartz . So hopefully I'll get there soon ...a rougher paste might be needed and if all fails I do have my dad's pottery wheel to convert for a bit of proper lapping with it cut up or something like you say. I also have a tile cutter with diamond blade and blades for the Dremel for that. I guess the guys on here are all about facett machines and proper gem making not using Dremels etc. ? Pity I would of thought there would be more of that... I'll keep searching . A Dremel is like a clunky farm implement to use. There are much better tools for the job such as a dental-style belt-drive unit. A less expensive option is the Foredom flex-cable handpiece. There are a myriad of diamond, carbide, and other abrasive and polishing bits and wheels made for dental handpieces. A Foredom will probably accept your Dremel bits. Something to consider when the Dremel gets hot and eats a bearing. I am surprised nobody else has responded here. People do use Dremel-type handpieces for carving, but usually softer material than quartz. You may find it easier if you clamp the Dremel in a vice and move the stone rather than the tool. A felt wheel is not a suitable matrix for diamond grinding paste. Make wooden wheels to use with the Dremel, if you must. You will need something like 360 mesh diamond to remove the damaged areas, then remove the scratches with 600 mesh, then prepolish with 1200 or 3000 mesh diamond. Polish using cerium oxide slurry on the (clean) felt wheel. I don't think you can work a piece of quartz the same way you would carve a piece of wood with files. Flat lapping will give you a more realistic-looking crystal anyway, if a 'natural' look is what you are after. I really recommend you locate a nearby gem club if one exists, and ask for hands-on help. A lapidary club or a general library may have a copy of 'Gem Cutting: a Lapidary's Manual' by John Sinkankas. It is an old book (1955, 1962) but a good general introduction to various lapidary techniques. There aren't many respknses because putting polished flats on irregular surfaces isn't in most people's wheelhouses. It is geometrically unfavorable foe flat lapping, dofficult to stay flat with a hand tool, not really suited for vertical cabbong wheels either. Doing it by hand will likely get you there eventually, but it will just take a long time. Generally it isn't the easiest nut to crack. I would think a dremel style tool would be your best bet to do this, but ai have never used one. Great! Thanks guys that's probably all I need and yes I've had some heating of the Dremel and crystal which I realised wasn't great for either object so I will have to watch that its a Dremel 8220 battery operated I'll not do massive sessions without letting them cool anyway. I'll look into the dentist equipment thanks but possibly not just yet due to low spare cash . And yes curved faces... Tricky one...I did think about adding faces to the curves to cover them up and it's looking ok so far but I've not seen them after finishing yet :S . Or possibly adding texture or quirks as such like the natural faces have or something like that as not all faces are flat on this or perfectly flat at all as such. And yes it takes very long to do I will be looking for short cuts and I get the picture much more now about it all for next time - thanks! I would suggest wet\dry sand paper from an auto parts store. 220\280 grit to start going to a 400\600 then to prepolish 1200 or 3k. And as Duncan mentioned cerium oxide. Take the sandpaper, wrap around small blocks of wood or something similar to tackle the larger flat surfaces to keep them flat and cut in the areas where the block can't reach with your dremel. Use water as a lubricant. A slow process but it can be done. A dremel to this on your size crystal faces is like asking someone to paint a building with an artist brush. I think you are on the right path. 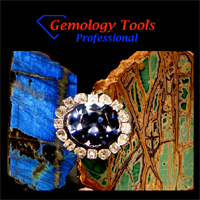 Your needs are probably closer to the gem carving niche of the lapidary arts. 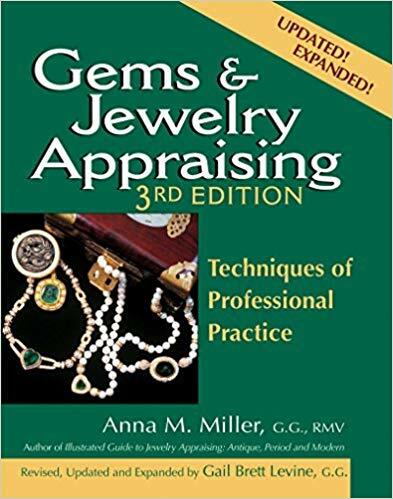 I both flat facet and carve, so my experience leads me to believe that products geared more toward gem carving may suit your needs better. I use both a dental unit, and a foredom flex shaft to carve stone. I have diamond plated burs in 60-100 grit, so I use them, but spend more time using my sintered diamond bits in 360 and 600 grit to prepare the shape of the stone. I use a 3000 grit pre-polish paste with wood or copper bits (sometimes 1200 grit first), and 50,000 grit diamond polish on wood or felt for a shine. Take a look at this supplier http://www.mtmist.org/ and see if anything would work for you. You're looking at a lot of work, for questionable reward. Any rock and mineral clubs near you? Cabochon grinding machines will do the job in under an hour, or you could tumble it. Lapidary is a fantastic hobby, but trying to do it with a Dremel won't be much fun. If you really must, you can buy carving burrs in a dozen different diamond grits, infinite sizes and shapes, around ten bucks apiece. Use lots of water to control dust. Protect your eyes. Lastly, maybe put the ame to the side and try working with soapstone, it's delightfully responsive to hand tools. I don't know much about faceting as I've only done about 20 stones, but I've carved nearly a thousand. To sand and/or polish flat areas that don't fit on a faceting machine or if you don't have one, you are much better off to use sandpaper and stones than a dremel or foredom until you go to polish. I use diamond files 150, 320 and 600. Then I go to Gesswein moldmaker's stones in 600 800 and 1200. If you don't want to buy stones, automotive and jeweler's supplies carry wet/dry sandpaper that go up into the thousands. I back them with pop-sickle sticks or tongue depressors. Or I use diamond grit with oil on the sticks. Then, since I am generally doing rather smallish flat areas I go to diamond and oil with felt or brushes to polish. All the filing and stoning are done with water. Think about this: Tools leave marks. This was one of the first things I learned when beginning to carve. Whatever the shape your tool is, that's the shape it is transferring to your stone. If you use a wheel to try to make a flat on a stone, you are constantly fighting to try to make something that wants to make a concave shape instead make a flat shape. If you work with something flat to begin with, it's only ("ONLY?"!!!!) a matter of trying to maintain the same angle in relation to the stone. I say "ONLY" because it's not all that easy to do free-hand. Which is why someone somewhere invented a faceting machine in the first place. I'm sure you can achieve what you want to do with some of these simple tools. Before I had a faceting machine, I flattened and polished the backs of some of my pieces using this method. Good luck and have fun! Yes this sounds like what I'm going to be doing at first at least yes thanks. Not used stones they sound interesting...I didn't have much luck so far with silicone carbide wet n dry but I'll carry on trying things I guess. Got my cutting gems book to have a read as well thanks!